Enterprise grade storage for all? Review While Crucial and Samsung have been making waves in the consumer SSD market with their affordable – well, kind of affordable – 1TB drives, there has been a noticeable silence from one of the giants in the consumer space – Intel. Yet with the launch of its latest series of drives – the 730 family built on a 7mm format – evidently the beast has awakened. At launch, Intel offers just two capacities – 240GB and 480GB – both are backed by a five-year warranty. Intel sent in a pair of 480GB drives for this review. The new drives go straight into the flagship position of Intel’s line-up and are aimed at not so much at the average user, if there is such a thing, but rather the enthusiast. Intel has its eye on gamers, digital content creators and workstation users. 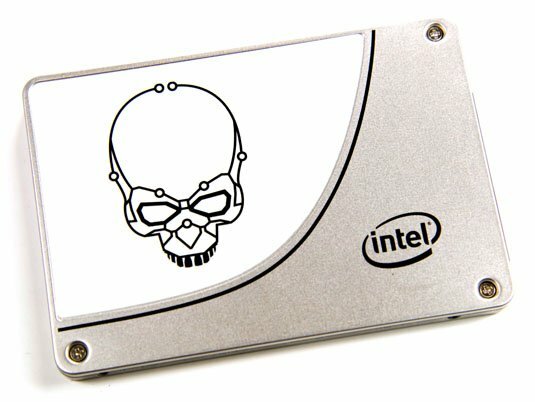 To emphasise the point, the drives carry the Skulltrail logo found on Intel’s high end motherboards and Intel uses the snappy slogan “Data Centre DNA – Enthusiast Tuned” for the 730 range. It claims a class-leading write endurance of 70GB a day. 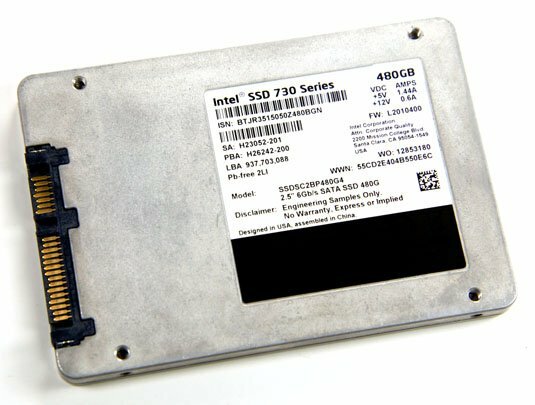 The new 730 SSDs rely on Intel’s third generation controller and the company’s 20nm MLC NAND. The hardware for both of these components has been cherry-picked from Intel’s production lines – one of the major benefits of being the manufacturer of this technology. It doesn’t stop there either, as the firmware for the controller is also in-house. As it is targeted at consumers, the 730 series ends up being the first of its ilk to use Intel’s third generation controller, previously seen in action on the Enterprise DC S3700 and S3500 drives. 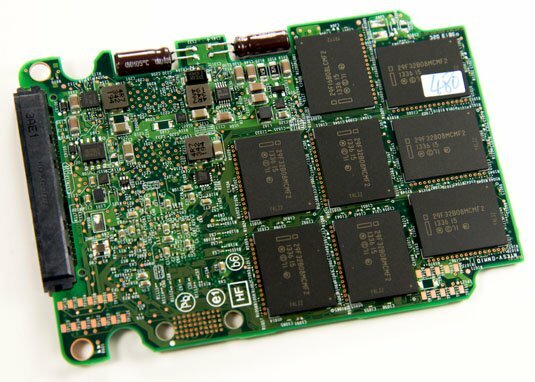 This move sees the company switch back to its own silicon from the 6Gb/s LSI SandForce SF-2281 controllers it used in the 330, 335, 510 and 512 series of consumer drives. Indeed, it’s the first Intel-based drive for this market segment since the SSD 320 was launched some three years ago. Built from the ground up, the new controller (coded PC29AS21CA0) is Intel’s first home grown 6Gb/s, 8-channel controller and supports AES-256 encryption. It may be the same controller that's in the DC S3700 and S3500 drives but for the 730, Intel has overclocked it. Yes, that’s right, it has been factory overclocked. The speed has risen from 400MHz to 600MHz and the company must have faith in the durability of this overclocked silicon given that five-year warranty. To get a look at the innards of the 730, you simply undo four tiny screws, there’s no oddly shaped fasteners, torx heads or the need to use a credit card to prise the cover apart. The layout of the PCB is very tidy and vaguely familiar. Hold on a minute, make that very familiar. Well, it is if you’ve ever opened up a DC S3500 Enterprise drive. When Intel says the design for the SSD 730 series was heavily influenced by the DC S3500, it’s not kidding. The similarity even extends to both drives having the same coding on the PCB. With the exception of the two 512MB DDR3-1600 Micron DRAM chips that form the 1GB of cache, all the other chips on the board are Intel. It may look as if there are 16 identical 20nm NAND chips making up the 730’s capacity but a closer inspection shows that in actual fact there is a mix of NAND involved. 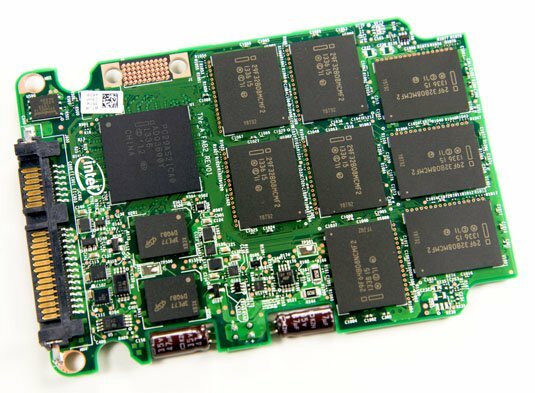 There are 14 29F32B08MCMF2 (32GB) packages, a single 29F64B08NCMF2 (64GB) package and a single chip of 29F16B08LCMF2 (16GB) NAND for a total of 528GB, the extra capacity being used for bad block replacement, wear levelling and suchlike. As with the controller, the NAND bus is also overclocked, getting a mild boost of 17MHz, tweaking the original 83MHz up to 100MHz; increasing the bandwidth to a maximum of 200MHz instead of 166MHz for each channel. In keeping with both the DC S3700 and S3500 drives, the 730 comes with power loss protection in the form of two C-rated 3.5V capacitors on the PCB edge.